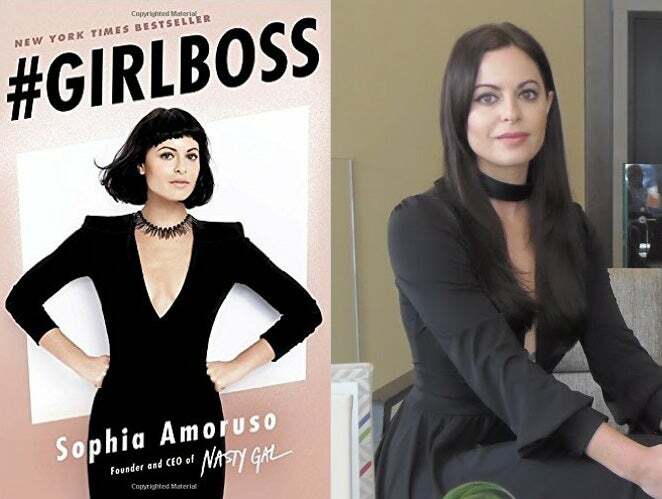 Sophia Amoruso, author of Girlboss and founder of Nasty Gal, speaks with Entrepreneur. It’s a Monday morning in Manhattan and Sophia Amoruso is wearing a plunging jet-black gown and choker. That’s not unusual for the founder of online retailer Nasty Gal, a brand known for a certain ‘70s chic. But in this Fifth Avenue hotel lounge where nearby a sea of foreign officials in fine tailored suits pile into motorcades for a session at the U.N. Global Summit, Amoruso stands out. Thankfully, Amoruso’s not afraid of the attention. The 31-year old made headlines in 2012 for nabbing more than $40 million in funding for a rapidly growing e-commerce business racking up hundreds of millions in sales. 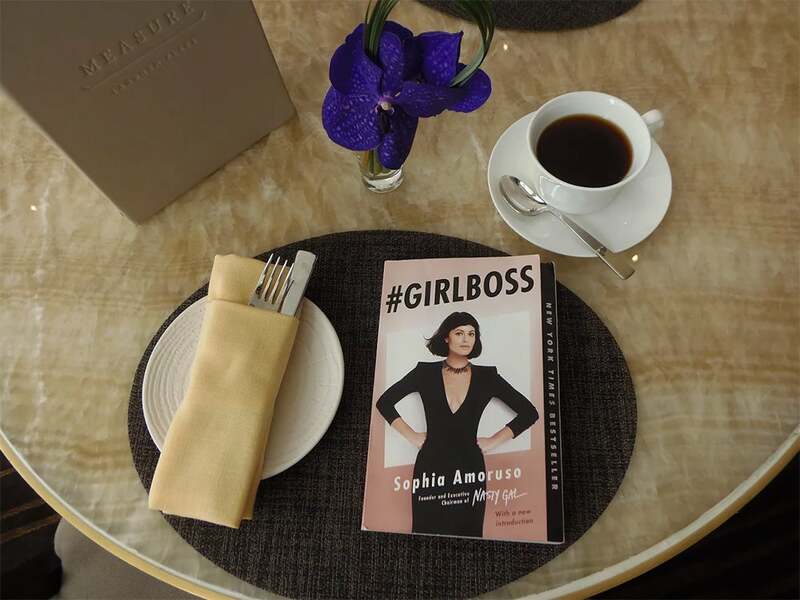 By 2014, her bestseller #Girlboss was lauded as a Lean In for millennial women, tracking Amoruso’s journey from dumpster-diving youth to e-Bay seller to CEO. #Girlboss sits down with Entrepreneur. "Once you put yourself on the cover of a book with your hands on your hips in a power pose, you become another thing," Amoruso tells Entrepreneur. 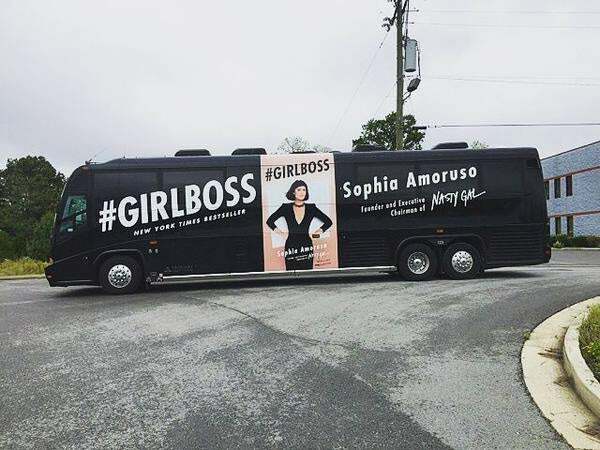 Amoruso, for her part, is forging ahead with her role as a leader and mentor, embarking on a nationwide bus tour (#GirlBuss, naturally) to celebrate her book’s paperback release. She’s also launched a foundation awarding grants to young women entrepreneurs, a career column for Marie Claire and a podcast in partnership with Slate. We sat down with Amoruso to talk about this whirlwind year, her new role at Nasty Gal – and what she’s learned so far. Responses were edited and condensed for length and clarity. Entrepreneur: The past year has been a busy one. Entrepreneur: You got married, became a New York Times bestselling author. But at the same time, you went through tough times such as the lawsuit and layoffs. Amoruso: This happens with the territory. I know what I’ve done and I know what the company has done. It’s unfortunate how some things have been, but they’re part of character development and of the company developing character. It can’t all be a straight line. Entrepreneur: You wrote that Nasty Gal changed so much as a company that it became almost unrecognizable to you. Entrepreneur: What role did funding play in that transformation? Amoruso: Venture capital did some really great things for Nasty Gal. It gave us the opportunity to build realistic expectations into our future, financially, which was challenging. But it was a company that was built without a business plan so when you inject a ton of capital into a company like that, it can make things a little messy. And while I was celebrated as an entrepreneur who didn’t go to business school who raised a ton of money from venture capital, being that person or having that plan from the beginning would have been very awesome. Entrepreneur: You’ve said that you stepped down to play to your strengths. Amoruso: God, at one point I had 10 c-levels and VPs reporting to me. People who had had careers for as long as I‘ve been alive and the job became more about people-management than creating a brand. I’m still involved in creative decisions, like casting and photography. Things that you think would be small, like choosing models or writing copy, in businesses like ours represent the whole brand. A big project I’m working on with an agency here in New York is distilling the Nasty Gal voice. We’re building a tool that allows us to have objective conversations about the brand rather than say something isn’t on brand because I said so. Articulating the brand could help people hold themselves accountable. Entrepreneur: Part of the challenge of being a CEO is being the face of the brand. Is that a lot of pressure? Amoruso: Yes, it is. Once you put yourself on the cover of a book with your hands on your hips in a power pose you become another thing. I put myself in a position to be examined. That’s what being in the public eye is and that’s fine because mistakes are part of the story. It’s going to happen and the media won’t always frame things that way. Entrepreneur: Do you feel the idea of the ‘Girlboss’ has evolved? Amoruso: It’s remained the same. It’s not about being at the top it’s about being deliberate in life choices. It’s not getting shoved into something because that’s what people want for you. It’s about knowing yourself to make educated decisions and being educated in your own desires. If your dream is to be the best stay-at-home mom then you would be as much as a Girlboss as a woman aspiring to whatever else. Entrepreneur: You have so many ways to reach them now. What’s the top tip you give female entrepreneurs now based on everything you've learned? Amoruso: Success is about resilience and self-reflection. If it doesn’t work the first time just keep doing it as long as you have a product or idea that’s great. Entrepreneur: How has your idea of success changed compared to when you were growing Nasty Gal? Amoruso: Now that I’m lauded as a success it’s interesting to look back and see what everyone considers a success. Success is a term you decide for yourself. There’s no ultimate destination. I’ve done some things successfully and have done just as many things unsuccessfully. Success is such a polarizing word. We shouldn’t be rating ourselves that way. I think success assumes you have nothing left to learn and if you have nothing left to learn you should probably be dead. Due to an editing error, a previous version of this article listing the funding date incorrectly.